Have I ever told you about the time I got stranded in Africa? Back when I was studying abroad in Cádiz in 2010, a group of friends and I decided to take a short trip to Morocco. We had heard many mixed reviews about the country, but felt the need to experience it for ourselves. Africa sounded so marvelous and exotic, sure to be filled with adventures and mystique. 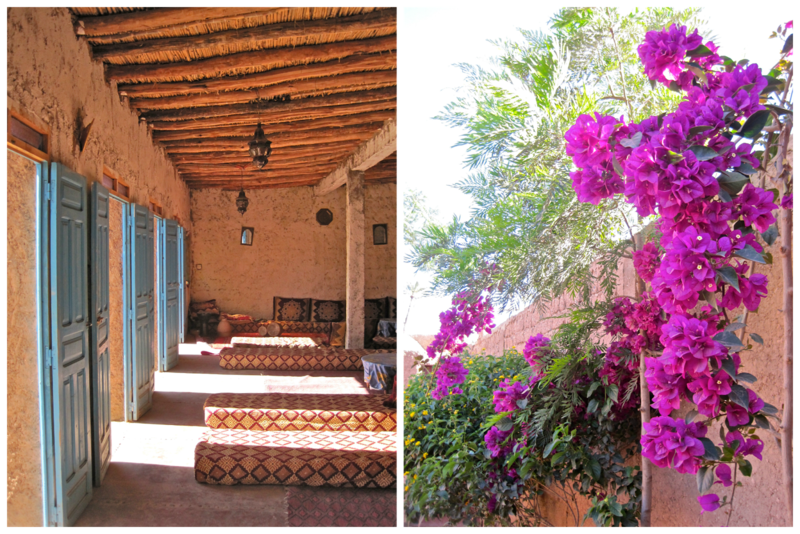 So we booked our tickets to Marrakech, and didn't think about it much further until we arrived. Marrakech is not just a lush and exotic oasis, but also a mysterious land of snake charmers, bustling markets, savory tangine chicken and cous cous, pungent spices, ornate mosques, mint tea and intriguing Muslim traditions. Wandering through the stirring markets and the Souk was nothing like anything I've ever experienced. Colorful shops selling decadent tea pots and oriental rugs blend into the creamy apricot buildings, while the shop owners bombard, hassle, and argue with you on the most "democratic price - iz vurry nize, muy bon precio for you!" A myriad of precious tea cups and rainbow scarves enveloped me in a sea of wide-eyed mystery. Lost on our first day in Marrakech, we encountered a boy named Abdul Ali; a tall and skinny schoolboy, no older than 14. He offered to give us directions to the market, but weary of guided scams, we initially rejected him. He convinced us that he wasn't a guide, but that he worked in a spice shop across from the market, so he could lead us there free of charge. We were too lost to turn him down. Apprehensive yet hopeful, we followed Abdul through the narrow, winding streets of the city. When we arrived at his family's spice shop, we thought it would be nice to stop in and maybe buy a little something to show our appreciation. We ended up hanging out at the shop for at least an hour, talking, joking, and taking pictures with Abdul and his family. His cousin showed us authentic Moroccan spices, cures and remedies, and generously gave us free treats and gifts. We sniffed sharp black cumin to relieve headaches, doused our bodies in luscious amber perfume, and whiffed decadent curry, saffron and cinnamon. When we finally had to leave, we were remorseful to say goodbye to our new friends. Within the first minute of entering the market, we were chased by snake charmers and tackled by monkeys. The street performers usually trick the tourists into taking pictures of these exotic sights and then demand money for the pictures afterwards. According to some other friends from our study abroad program, some vendors and street performers might even chase you down until you pay them what they "deserve". After being accosted by one too many snakes and monkeys, we cast away our inhibitions and wandered further into the Souk. For hours we winded through a labyrinth of shops and aggressive vendors. To avoid being hassled even further, we pretended that we weren't Americans. We only spoke in Spanish to each other, and when the vendors asked us where we were from, we all lied and said we were from Spain. We finally met someone who caught us in our lie - a friendly waiter working in one of the market's restaurants who was wearing an FC Barcelona jersey and claimed to have lived in Spain. After plenty of joking and lively conversation, he convinced us to eat at his stand. We spent the rest of the evening chatting with our new friend and indulging on savory shish kebabs, salads and round loaves of warm bread. 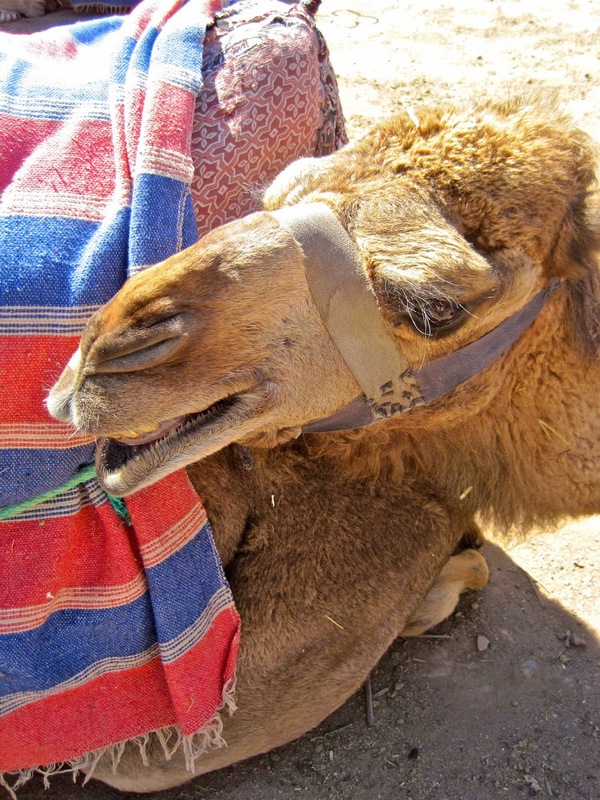 The next day we embarked on an excursion advertised by our hotel, where we were promised a "guided tour in English" to an authentic Moroccan town "two hours away" with the "opportunity to ride camels for only 100 dirham". (Let's be honest: we just wanted to go for the camels.) After a five hour road trip (each way) with absolutely zero camels and a driver who spoke no English, we felt completely robbed and scammed. The silver lining: we got to trek through the wondrous Atlas Mountains, see the lush oases of the Moroccan countryside, and explore the sun drenched city of Ouarzazate. 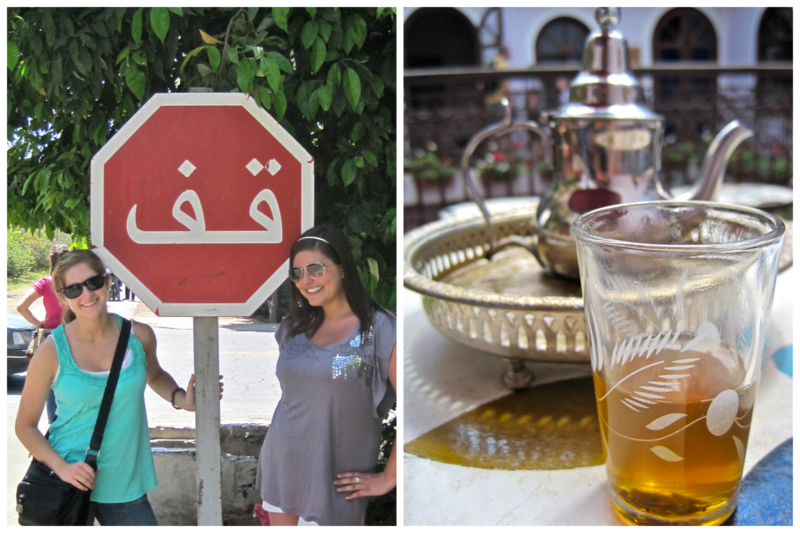 Our last day in Morocco was both the best and the worst. We finally prepared to embark on our grandest (and most touristy) adventure of them all: camel riding! We ventured to the Palmerie, mounted our camels, and strolled through the lush gardens of palm trees gleaming against blue skies. The golden sunshine generously poured its rays upon our tan shoulders as we rocked back and forth on our camels, until we reached a quaint cottage concealed by the tall grasses. We relished warm flat bread and sipped sweet mint tea inside the hidden villa, ornately filled with colorful lamps, cozy floor cushions and irresistible Moroccan charm. We were overcome with thankfulness for being able to enjoy one of the few things that went smoothly on our trip. High off the thrill of riding camels through the secluded Palmerie of Marrakech, we ventured off to the Souk once more for our last supper. Our entrance to the market was not so warmly welcomed, for we were instantly bombarded by restaurant owners pressuring us to give them our business. When we rejected them, turned off by their vulgar invitations, they cursed at us and told us that we'd "regret making that woman the leader of our group". We finally sat down at the restaurant that hassled us the least and began to stuff our faces with shish kebabs. As we ate our dinner, groups of tattered women and children came up to us begging for money. When we offered our untouched bread, they refused and explicitly asked for money. We then witnessed a young girl get beaten up by another restaurant owner and a young boy thrown across the market. Watching all of this and knowing we couldn't do anything about it was discouraging and incredibly rattling. After all that we had just seen, we decided to stop for ice cream in a half-hearted attempt to make ourselves feel better. As we sauntered towards our hotel with our sweet treats, a group of children came up to us, begging for money. Tired and frustrated, we tried to ignore them and keep walking. The children then became violent and started to hit and kick us. One even tried to grab my clutch and run, but thankfully it was attached to my wrist and I was quick to pull my arm away. I never thought I could get beat up by a six-year-old, but I escaped with a throbbing lower back from where one child had punched me particularly hard. We came back to our hotel emotionally exhausted. After all of the trip's mishaps and epic fails, we only had one goal: get the hell out of Morocco. Unfortunately, fate had other plans for us. We arrived at the Marrakech airport the next day jaded and anxious to get back to Spain. But thanks to the Icelandic volcano that had recently erupted, all flights back to Europe were cancelled. Reality hit us: we were stranded in Africa. Filled with panic, fear and frustration, we gathered a group of other stragglers and coordinated a road trip to Tangier, where we planned to hop a ferry back to Spain. We began our nine hour road trip across the Moroccan countryside, passing Casablanca and stopping in Rabat for a gourmet lunch at McDonald's (where they enthusiastically advertised the "McArabia". How appetizing.) Thanks to a plethora of Dramamine and a dead iPod, I zoned out as I watched the country pass before me. All I could think about was being back in Seattle, warm and safe in my own bed. However, reality kept reminding me that I was stranded in a third world country. After endless hours of barren fields and deserted villages, we finally reached Tangier. We bought our boat tickets with ten minutes to spare and started sprinting towards the port. As we were running to catch our ferry, which we had been told was the last one of the night, I started to have an asthma attack... naturally. Needless to say, we missed the boat. (It ain't easy being wheezy, friends.) Thankfully we had been misinformed, and there was still one last ferry that night. Anxiety pulsed through me as we waited for the last boat. The rocky ferry ride calmed my nerves as we crossed the Moroccan border towards Spain. We arrived in the sketchy port town of Algeciras around 2:00 am. We were overcome with relief, having finally made it back to Spain. The rest of our night was spent laying on the pavement outside the Algeciras bus station, braving the cold and desperately trying to catch some z's before the first bus back to Cádiz. It was certainly not one of my finer moments in life. Low and behold, we survived our night on the streets and made it back to Cádiz safely. Okay... so maybe I won't be going back to Marrakech anytime soon. And lesson learned: if a volcano in Iceland decides to erupt, maybe it's best to stay home. Have you ever gone on a trip where everything went wrong? 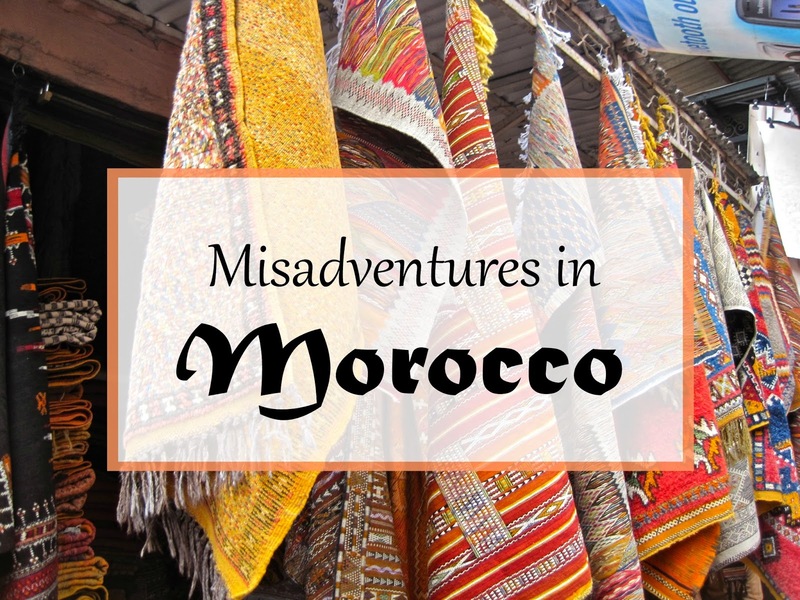 58 comments on "Misadventures in Morocco"
Geez- what an experience! Where to start! hahaha. I am so surprised about the attitudes of restaurant owners to actually curse at potential customers when they decide to leave. Not the best business model, wow. I kept thinking that was great you had one more day left to carry out your camel riding dream after the slightly disappointing day trip the day before. After getting punched in the back by a six year old, I guess it was time to leave. I take it you aren't so keen on ever returning, then? 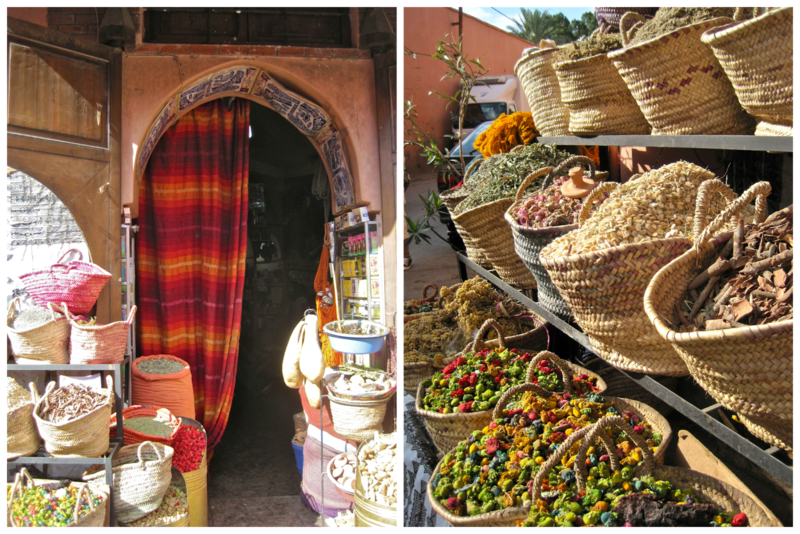 I actually had Marrakesh pretty high on my "travel hopes and dreams" list... I guess it's a place you really have to be on you guard, then. Wowwwww this was an epic story! So many ups and downs! Morocco always seems so exotic when I read posts about it and I'd really like to visit, but maybe I'll put it off for a little while, or when I do I'll keep this post in mind. Let's face it, maybe I just want to visit for the camels? Does that make me a terrible tourist? I can't believe those kids were hitting you! That's horrible! Wow! I really enjoyed reading this. I like how you talked about both the incredible highs and incredible lows and how disheartening it was that you couldn't do anything about some of the things you saw. I have been in that position too a few times, including once in Morocco in 2010 during my time studying abroad. Luckily, I didn't have a volcano keeping me there. Although, I do remember having friends being trapped in places all over Europe because of cancelled flights! Woah, I was a rollercoaster of emotions while reading this... so many goods things bookended by so many things going wrong. Definitely sounds like a memorable trip... I have never heard anything negative about Morocco, but will definitely be wary of this (or at least with an open mind and some flexibility) should I decide to go someday. Oy! None of my travels have been this bad to date -- just a nightmare of a motel in western North Dakota -- but how sad that children and adults both act like that to tourists without a legit reason. At least the beautiful landscapes and the few genuinely nice people you met left you with some positive memories of Marrakech & the area! Wow that is one crazy trip!! I was stressed out for you just reading it! I'm sure you were incredibly relieved when you finally arrived home. What a crazy experience! I think if all that happened to me, I'd start crying. I've heard from multiple people how aggressive guys can get in Morocco, it's one of the main reasons I haven't been there yet. From the sounds of it the guys in Lavapies have nothing on restaurant owners in Marrakech. Wow what a story! I did find it a bit overwhelming wandering the souks when I was in Marrakesh and am definitely not used to a culture that bargains for everything. I didn't experience anything like kids hitting me or restaurants being nasty, but I wonder if part of that was because I was visiting with my husband? (Not sure who you were traveling with, but I was warned by some friends that traveling as a group of girls is a much different experience than having a guy with you.) I loved my time there, but did feel like you really have to be on guard - people would be so friendly and try to give things to me as a "gift" and then start demanding money. But a beautiful country and like you mentioned, there are wonderful people there as well. Whoaa, that's a lot to happen all in one trip! Do you think you'd ever go back after that? Wow, this was an intense read! But full of some fun moments in Morocco! Hearing about other people's adventures in Morocco are so interesting to me! I went to Chefchaouen, Morocco, when I was in Spain. The weekend trip was through our program and we actually stayed with host families and other college and high school students, who showed us around! Unfortunately, we had troubles with the ferry rides, as it took us 17 hours to get there, when it only should have taken 4! I've heard different things about Marrakech, but it seems to be a cool place to visit overall. My only regret I have about Morocco is not riding camels, but there's always one day! Really enjoyed reading about the wild ride you had in Morocco, Courtney. Although fortunately I had a positive experience when I visited the country 2 years ago, I stayed far away from Marrakesh due to similar horror stories. Still, I remember breathing a huge sigh of relief when I crossed the border into Spanish Ceuta—I no longer had to worry about dealing with people hawking their restaurants or shops constantly. But what an awesome place to get lost in! Really intense though - no wonder you had an aching back! I got lost in Rome once and ended up in this beautiful cathedral that I would never have discovered otherwise! But to have ended it with the flight problems because of the Icelandic volcano - just awful! Oh my goodness, what a crazy trip! Doesn't it seem like everything goes wrong all at once sometimes?? I really, really hate being hassled by vendors, it causes me so much anxiety! That market kind of sounds like a nightmare! Holy smokes! What a nightmare, you poor thing. I tell you what, l would have lapsed into my own language, and beat those kids :-). I like bargaining for stuff, but l am not a big shopper, l just like to see, but hardly go into the stalls anywhere. We were suppose to go to Marrakesh in Feb, but doesn't look like it's happening :-(. Hopefully this year though. I don't blame you for. It wanting to go back anytime soon.. 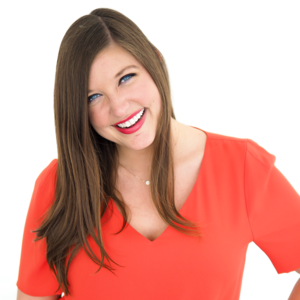 I love reading your stories!! Between the gorgeous photos and the storytelling, I feel like I'm experiencing it with you! I've heard before about how much the vendors and snake charmers hassle you. It sounds like such a crazy atmosphere like no other country. And I can't believe a 6 year old actually punched you! I hate dealing with kids begging for money. It breaks my heart to have to ignore them. But those kids just sound mean and aggressive! Oh my! What an adventure!! Camel riding sounds like a blast!! It's incredibly frustrating to find out your flight or bus has been canceled, but I can't imagine how much your group must have wanted to leave Marrakech after these varied incidents! I keep hearing mixed reviews about Morocco, so I guess these situations are pretty normal. I'm glad you at least had some positive experiences on this trip! It was definitely a rollercoaster! I'd still go back to Morocco one day, but probably to a smaller, more low-key town like Chefchaouen or maybe even the desert. 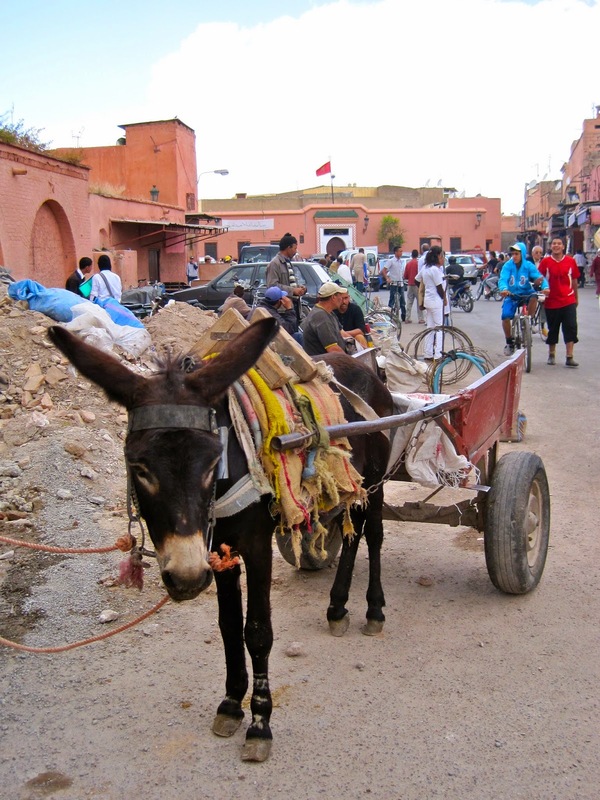 Marrakech is still a place worth visiting, especially since some of the locals can be so warm and friendly. Just have realistic expectations! Oh my goodness this sounds quite frightening! It's like the things you hear about other people but don't ever expect it to happen to you. I'm glad you made it safely back to Spain! Thanks Yalanda, me too! It was definitely a trip for the books, haha. It was such a rollercoaster of emotions! We were so ready to leave by the end of it all. I can't say I'd ever go back to Marrakech, but it was an experience I'm glad I had. I can't remember if the monkeys touched me, but I remember that a snake did. And that was enough to send me over the edge!! Morocco was certainly a memorable experience, but if you're looking for someplace enthralling and exotic, I'd recommend Istanbul over Marrakech ANYDAY! That damn volcano! It caused so much unnecessary stress in our lives! Thanks Trevor! I'm glad you had a positive experience when you were there. If I go back someday, I'd like to visit the smaller cities like Chefchaouen or maybe even the desert for a completely different experience. Where did you go when you visited Morocco? Thanks Mike! You're lucky that volcano didn't trap you anywhere! Gosh, what a mess. I'm glad you can relate to the feeling of being frustrated about what you saw. It was so hard to just sit back and not do anything about it, when deep down it felt so wrong! Thanks for sharing a great post Marcella! Looking back on it all now, I'm glad I had that experience... but I probably won't ever go back to Marrakech. However, I'd still like to see calmer and quieter parts of the country, like Chefchaouen or maybe even the desert. 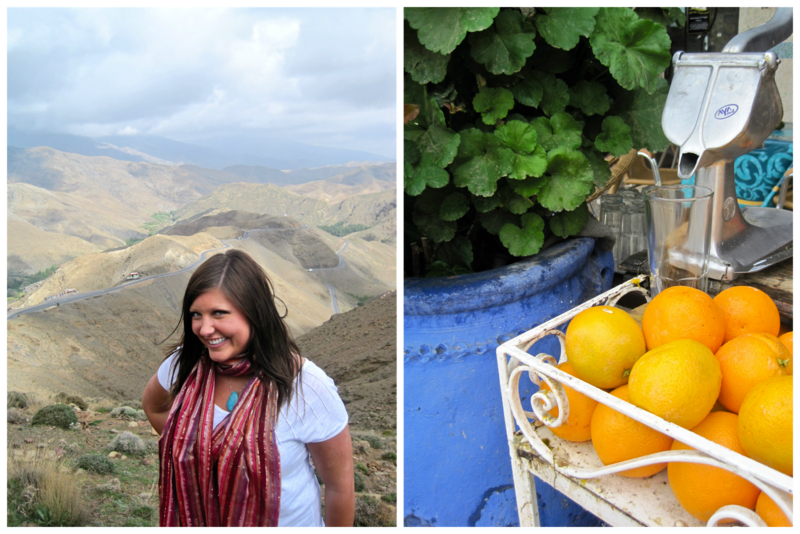 Well, I'd certainly never go back to Marrakech, but someday I'd like to see Chefchaouen or maybe even the desert. 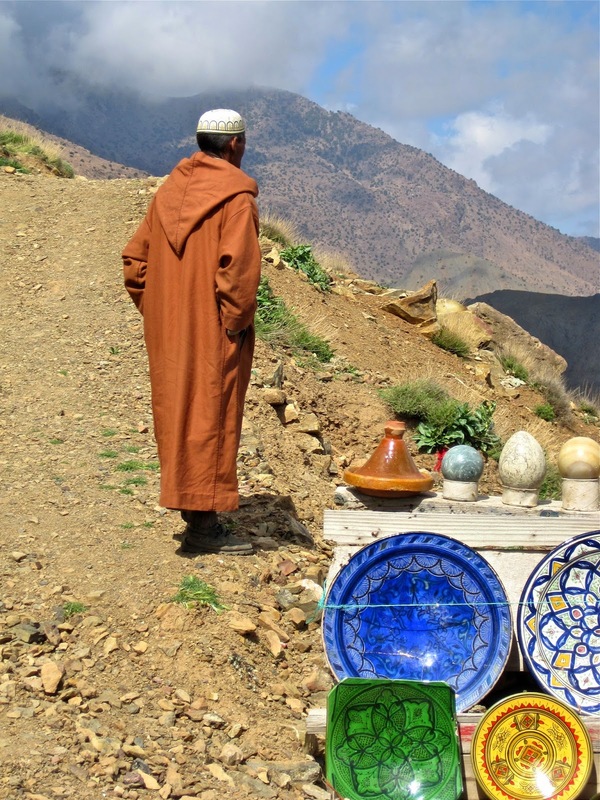 I want to experience a calmer, quieter part of Morocco for a completely different experience! I would love to go to Chefchaouen someday! I'd really like to experience a calmer part of Morocco - and let's be real, all those blue and white buildings look GORGEOUS! That's terrible that it took you so long to get back to Spain though. That ferry system is a mess! It was definitely a trip for the books! I can't say I'd ever go back again, but I'm glad I had the experience of everything that went well on that trip. Not all of Marrakech is terrible - I think I just had really, really bad luck! When it rains, it pours! I hate being hassled by vendors too. If they're really friendly, I like chatting with them and giving the really nice ones my business... but everyone in Marrakech was just too aggressive! Too much stress! It was definitely a rollercoaster of a trip! Morocco is still a beautiful country filled with its fair share of friendly locals, so I'd still recommend visiting sometime. Just have an open mind about what really goes on in Marrakech! There are definitely still lovely people there! The friendly locals we met really impacted us. I traveled in a group of 6 (4 girls and 2 boys), which probably didn't help the situation. We also had a few of blondes in the group too, so we really stuck out as foreigners. 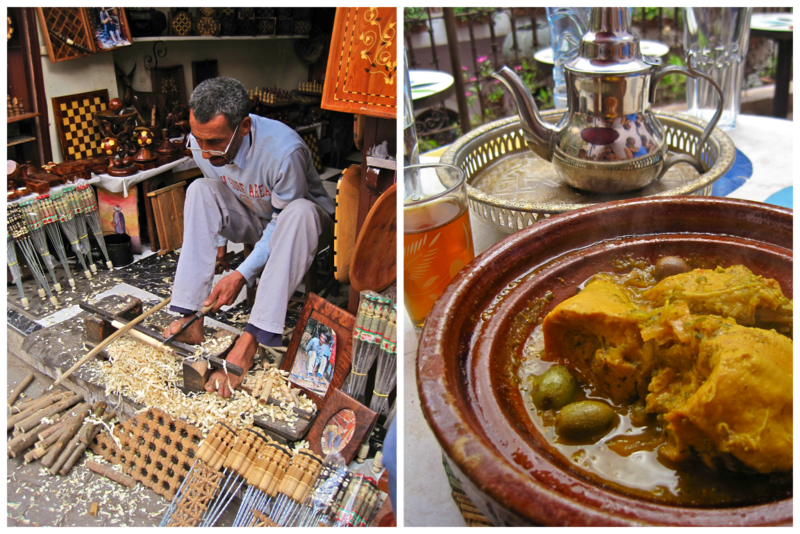 If I ever go back to Morocco, I think going with just one guy would be a much wiser choice! There were definitely plenty of tears on my end! The aggressiveness deeply bothered me though. I know it's important to recognize and accept the cultural differences, but I just wasn't okay with feeling so devalued as a woman. You're right though, Lavapies is incredibly calm in comparison! Haha! Oh gosh, SO relieved! I had never felt happier to be back in Spain! I'd definitely recommend going back if you have the chance; I visited Fez, Meknes, the Roman ruins of Volubilis, and Chefchaouen--which has become one of my favorite cities I've ever visited. If anything it's a good long weekend trip from Cádiz! Wow, you've seen a lot! The more pictures I see of Chefchaouen, the more I really, really want to go! I'm glad everything worked out! If it is worth anything, your pictures are gorgeous from Morocco! It was an experience I'm not eager to repeat, haha :) At least I got to ride some camels! WOW! We are planning to go into Tangier for a day by ferry, but now I am nervous!